Joshua Daniel White (February 11, 1914 – September 5, 1969) was an American singer, guitarist, songwriter, actor and civil rights activist. He also recorded under the names Pinewood Tom and Tippy Barton in the 1930s. instrumental talent stood him in good stead when he turned his attention to different kinds of music in later life. 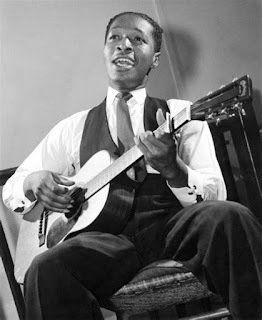 Born in Greenville SC in 1914, as a child Josh was the ‘lead-boy’ for several local Bluesmen, showing them around town and playing a tambourine which he would use to collect nickels and dimes. His reward was to be shown their guitar tricks, so he could earn some money himself by playing on street corners. 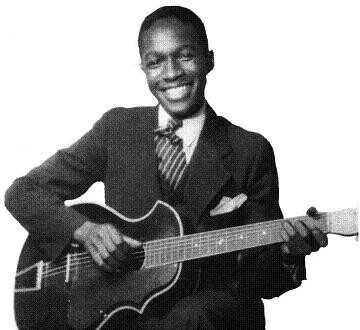 These tutors included Willie Walker, Blind Blake and Blind Joe Taggart who recorded as a ‘guitar evangelist‘ for Vocalion in the late 20’s and included Josh on some of his sessions. 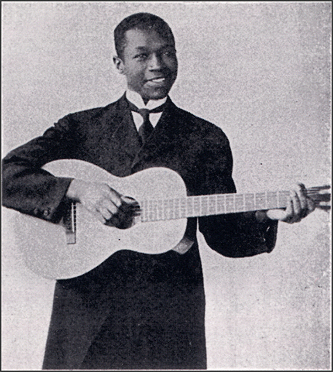 He was not the only ‘lead-boy’ to benefit from this kind of apprenticeship; T-Bone Walker and ‘Lightnin’ Hopkins learned invaluable lessons as they led Blind Lemon Jefferson around the street corners over in Texas. When Lemon was across in the Carolinas, Josh was his ‘lead-boy’ too. in New York. 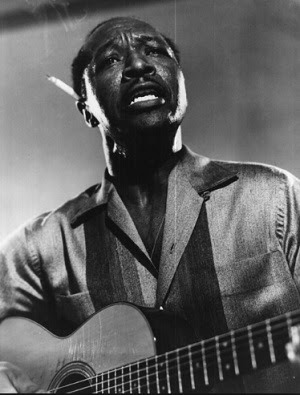 Many of these Blues tracks had ‘Tom’ playing with pianists Walter Roland, Clarence Williams or Leroy Carr, or ‘second’ guitarist Scrapper Blackwell. ‘Milk Cow Blues’, ‘Silicosis is Killin’ Me’, ‘Welfare Blues’ and ‘Lazy Black Snake’ are Blues songs of the highest quality. 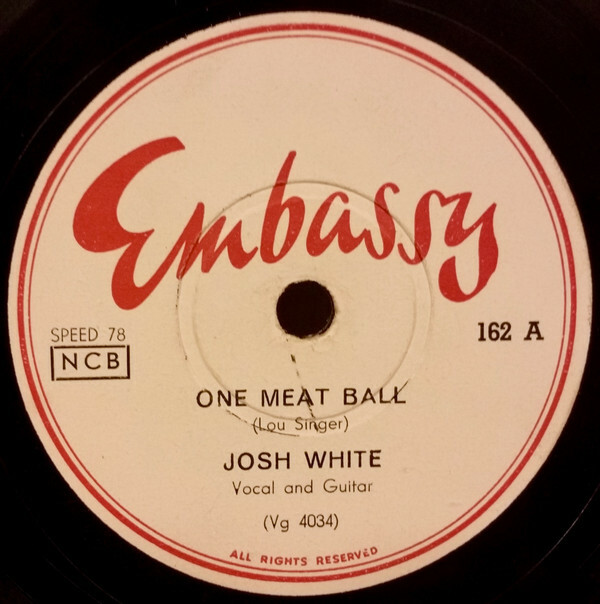 At the same time, Josh was recording gospel songs as Joshua White ‘The Singing Christian’, maintaining a discrete distance between Sacred Songs and the Devil’s Music. Both styles were successful and he maintained the twin identities for many years. In 1936 Josh was settled in New York when a serious hand injury forced him to give up playing. By then he was moving in a supportive and politically aware social group and began working as an actor, appearing with Paul Robeson in ‘John Henry’ and ‘The Man Who Went to War’ on stage, and playing several roles in feature films. of music for the Library of Congress, took up an invitation to play for President Roosevelt and he toured Mexico for the US State Dept. Along with Lead Belly, Josh had brought blues and folk music from the countryside to New York and beyond, and this led to a broadening of his own musical horizons. 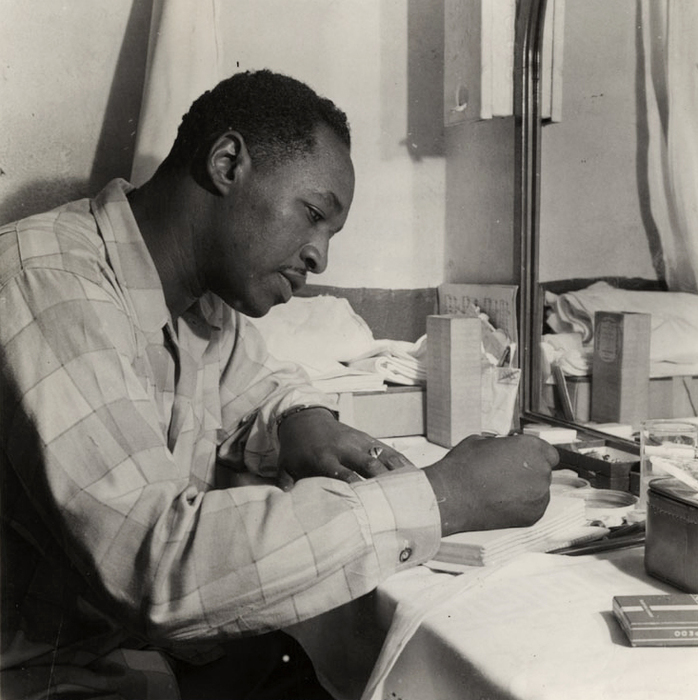 There had always been elements of ragtime, ballads and popular music in Piedmont Blues, and Josh realised there was nowhere he could not go in the musical field. He covered Cole Porter’s ‘Miss Otis Regrets’, ‘The House I Live In’, sung more famously by Frank Sinatra, as well as theatrical pieces and contemporary songs. His ‘One Meat-Ball’ sold a million copies. 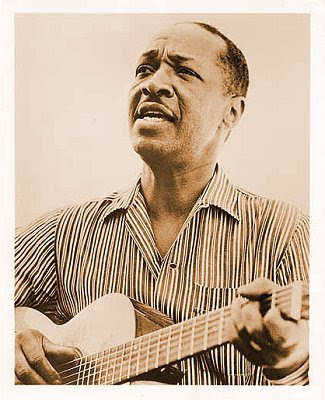 The ‘protest song’ was also emerging from the politicised intellectual milieu around the nightclub ‘Café Society’, and Josh recorded ‘Freedom Road’ with lyrics by Langston Hughes. He was active in de-segregating audiences and spoke publicly on human rights, which later made Josh a target for McCarthyites who tried to portray him as a communist. Nevertheless, with his good looks and broad musical appeal, Josh was a popular figure on the folk scene as it expanded in the 50’s. 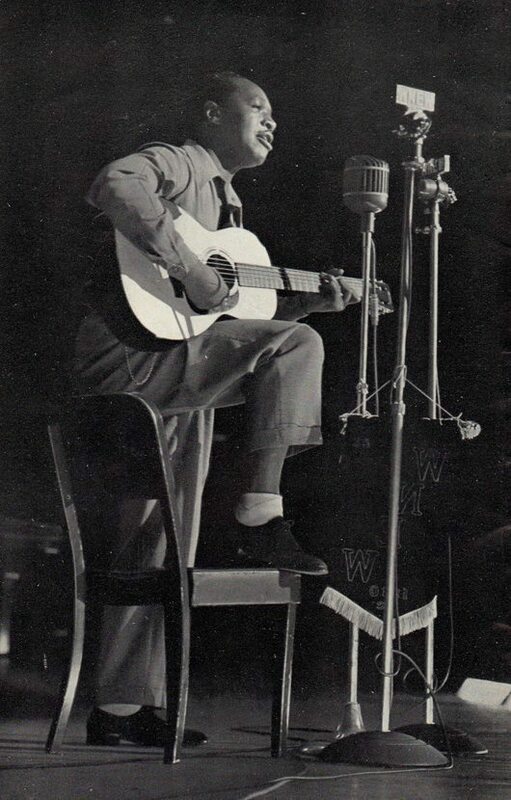 He toured England and Canada and was in constant demand for gigs from coffee-houses to concert halls, and as Festivals became established and TV spread to every home, Josh White became a household name. By the 60’s, he was more of a show-biz personality than a Blues singer, but you can hardly blame him for adapting to changing times. In 1961, White's health began a sharp decline after he had the first of the three heart attacks and the progressive heart disease that would plague him over his final eight years. As a lifelong smoker he also had progressive emphysema, in addition to ulcers, and severe psoriasis in his hands and calcium deficiency, which caused the skin to peel from his fingers and left his fingernails broken and bleeding after every concert. During the last two years of his life, as his heart weakened dramatically, his wife put him in the hospital for four weeks after he completed each two-week concert tour. Finally, his doctors felt his only survival option was to attempt a new procedure to replace heart valves. The surgery failed. Up until 10 or 15 years ago, I used to occasionally run into people socially here in NYC who had seen Josh White on stage (rave reviews, naturally). Thanks much for the wonderful compilation.